This is a zoonotic disease, meaning that it can be transmitted between animals and humans. In cats, the disease is generally transmitted through contact with flea feces. The bacterium is excreted through the flea and into its feces, which it leaves on the cat’s skin. The cat, through grooming itself, ingests the bacteria, thereby becoming infected with the Bartonella strain. Humans do not acquire this infection from flea reservoirs. It is important to note that this bacterial infection can also be transmitted to humans and cats by ticks. Although cats generally do not suffer from the infection, beyond possible fever, swollen glands, and some muscle aches, the infection can be passed to a human host when the infected cat scratches or bites a human. Saliva can also be a conduit for transmission, such as when an infected cat licks a skin abrasion or open wound on a human. While infection of the Bartonella bacterium is usually mild in humans, it has been estimated that in the U.S. alone over 25,000 cases of cat scratch disease require brief hospitalization each year. Many of the infected are children, as children are most likely to play with kittens – which in turn are the most likely to scratch and bite as part of play. Fortunately, this disease is not fatal for humans, but it still poses great risks to immunocompromised patients, such as those with the AIDS virus, or those undergoing chemical treatment. While many cat owners do not need to concern themselves with whether their cats are carriers of this bacterium, those who must guard their health are advised to have their cats tested and treated, as well as to be especially vigilant against fleas. Further testing will involve more specific tests for confirmation of bartonella infection. Growing, or culturing, the causative organism from a blood sample remains the most reliable method for diagnosis. Polymerase chain reaction (PCR) is a more advanced test for detecting bacterial DNA, which may be done by taking a sample of tissue from the lesion. Even so, these tests do not always confirm bartonellosis as a cause for the disease, since the bacteria is not constantly circulating through the blood stream. Multiple tests may need to be conducted in order to ascertain the presence of Bartonella henselae. In humans the wound site is cleansed thoroughly and patients are advised to temporarily avoid contact with young cats. In cases with swollen or painful lymph nodes, the lymph nodes can be aspirated to remove excess pus. Bed rest is suggested to prevent further aggravation of symptoms, and in severe cases antimicrobial therapy may be advised. Most cases resolve within a few weeks, and in some cases, minor symptoms may linger for a few months. In general, cats do not require therapy. Immunocompromised patients (e.g. people with AIDS, patients undergoing chemotherapy) are at higher risk of developing more severe symptoms of bartonellosis. In such cases, it is suggested that these cat owners have their cats tested for the presence of the bacteria. For those who are immunocompromised, and are in the process of getting a cat, it is suggested that the cat be tested before it is brought into the home, and that is is confirmed that the cat is from a flea free environment. The exact risk of transmission of this disease from cats to humans is unknown; however, if you have been scratched or bitten by a cat, immediately clean the abrasion. If symptoms appear, such as fatigue, headache, swollen glands, contact your physician for proper advice. The overall prognosis for this disease in cats is highly variable depending on the clinical presentation of this disease. You should monitor your cat for recurrence of clinical signs during treatment and call your veterinarian if you see any untoward symptoms in your cat, such as swollen glands or fever. Please note that this disease is not yet fully described and understood in cats, so resolution of the presence of Bartonella henselae may not be achieved in your cat, even after multiple treatments. The best treatment is preventative. Suggested prevention techniques include keeping your home and cat free of fleas and ticks, keeping your cat’s nails trimmed, and avoiding rough play with kittens and cats. 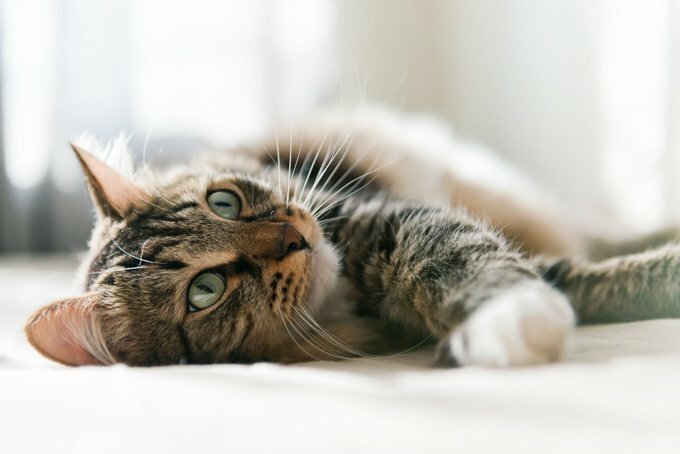 There is no vaccine to prevent Bartonella henselae from infecting your cat, but with careful preventative measures, there is an excellent chance that you will not need to suffer the consequences of this bug.